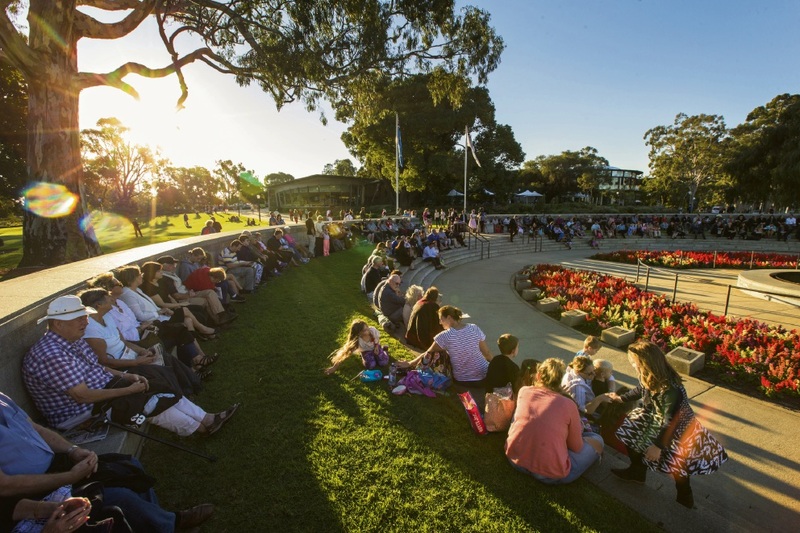 Sunset services before Anzac Day are popular at the Flame of Remembrance in Kings Park. THURSDAY April 25 marks the anniversary of the landing of Australian and New Zealand forces on Turkey’s Gallipoli peninsula in 1915. Anzac Day is the chance to reflect on the sacrifice made by so many who lost their lives in the defence of freedom, and honour those who survived, bearing the physical and mental scars of conflict. 10.30am – ANZAC Service and March at the Melville City War Memorial located at the top of Wireless Hill. Light refreshments served on completion. 6am – dawn service, Ballajura Community Peace Park, Illawarra Crescent South, Ballajura. 6.00am – Dawn Service, Halliday Park, Coode Street, Bayswater. 2.00pm – memorial service, cnr of Beaufort and Salisbury Streets, Bedford. After the service meet at the RSL Hall, cnr of Grand Promenade and Craven Street for light refreshments. 2.00pm – City of Belmont ANZAC Service, 22 Leake Street, Ascot. Street Parking available on Thomas Street and Memorial Avenue. Wheelchair access to Village Green and War Memorial. Toilet facilities available on Village Green and close to War Memorial. There is a small car park in Spearwood Avenue and there is plenty of parking available in Sussex Street, Spearwood – near the Memorial Park. Road closures around the Memorial will be in place from 5am-7am and again between 9.50 and 11.30am. There is parking available at various points near the War Memorial and the Memorial Hall, ensure that you are parked prior to the road closures. There is parking available in the park area at the corner of Hamilton Road and Rockingham Road. After the Services parking is available at the Sub-Branch. 6.45am – Parade and attendees muster at the top (Southern) gate (opposite Loma Street). 7.00am – Parade marches off from top gate towards main lawn. 7.10am – ANZAC Day service commences. 8.00am – Service concludes. 9.00am – Memorial Service, Stirling Square, Guildford. 2.30pm – ANZAC Service, Main Foyer, Hollywood Private Hospital. 3.15pm – Wreath laying. On Completion – Those attending are invited to enjoy afternoon tea. 5.45am – Dawn Service, Joondalup Memorial, Central Park, Joondalup. 6.30am – Morning Tea. 10.30am – Assemble at the rear of Thai on the Hill, Kalamunda, street march to War Memorial to Kostera Oval Memorial. 11.00am – Step off on Railway Road into Haynes Street then Canning Road. 11.30am – Service held at Memorial in Kostera Oval. 12.00pm – Refreshments at RSL Hall, Canning Road, Kalamunda. 5.45am – Assemble at Kostera Oval Memorial. 6.00am – Dawn Service.6.30am – Gunfire Breakfast, Agricultural Hall in Kostera Oval. Parking: Parking at Kalamunda High School, Kalamunda shopping precinct and street parking allowed except around Kostera Oval. All areas have wheel chair access. Kalamunda SES will be assisting at the Dawn Service. 5.30am – Gather for Dawn Service at Kwinana War Memorial Park, Pace Road, Medina, 6am – Dawn Service, 6.30am – Gunfire Breakfast, Medina Hall, gold coin donation. 10.30am – March from Hoyle Road, Medina. 11.00am – ANZAC Day Service, War Memorial, Pace Road, Medina. On completion – Light refreshments, RSL Club. Parking: Parking available at Medina shop precinct and Senior Citizens car park Harlow Road. Disabled parking at rear of monument on Pace Road. 5.55am – call to order, 6am – Dawn Service, Mandurah War Memorial, 11 Leighton Place, Halls Head, 6.45am – gunfire breakfast at City of Mandurah Sub-Branch, 20-22 Rouse Road, Greenfields, 9.30am – parade forms up at the corner of Pinjarra Road and Leslie Street, 10.30am – parade steps off, 11am – main service, Mandurah War Memorial, 11 Leighton Place, Halls Head, On completion of the Service, Veterans, and members of the public are invited back to the City of Mandurah RSL for fellowship and two-Up. . Parking is available on Hall Park adjacent to the Mandurah War Memorial and off Leighton Street. Access parking is available for those with ACROD stickers. Members of the Mandurah SES will be directing parking. 5.15pm – Sunset Service and Wreath Laying, Blackboy Hill Commemorative Site, Greenmount. 8.30am – ANZAC Day Service, Midland Railway Workshops Peace Memorial, Centennial Place, Midland. 9.20am – Morning Tea. Parking is available in the carpark opposite the Peace Memorial. 9.30am – Mosman Park Primary School service at 91 Victoria St Mosman Park. 2pm – Freshwater Bay Nursing Home service at 67 Palmerston St Mosman Park. 7.30am – Gunfire Breakfast, Alf Adams Pavilion, Solomon Street. 10.00am – Service at Memorial Park, Bayview Terrace with fellowship afterwards. 10.30am – ANZAC Day March, Axford Park, 129 Scarborough Beach Road, Mt Hawthorn. 11.05am – ANZAC Day Commemorative Service. Venue is wheelchair friendly with only local street parking available. 6.15am – Assemble, Lawley Masonic Village, 55 Alexander Drive, Menora. 6.30am – Commencement of Service. 7.30am – sausage sizzle, 7.45am – Assemble, Mt Lawley Cenotaph, corner of Clifton Street & Queens Crescent. 8.00am – Commencement of Service. 8.45am – Sit-down Gunfire Breakfast, Mt Lawley Bowling Club, Cnr Storthes & Rookwood Street, Mt Lawley. 8.45am – Free Sausage Sizzle, near Mt Lawley Cenotaph. Roads closed from 7.30am. Clifton Crescent is closed at both Glenroyd Street and Lawley Crescent. Queens Crescent closure is from Storthes Street and Vale Street. 8.30am – Commemorative Service, Dalkeith Memorial. 10.00am – March from RSL Sub-Branch, 68 Sylvia Street Nollamara around the block. 10.30am – Arrive back at Sub-Branch. 10.45am – Memorial Service, RSL Sub-Branch. 11.30am – Light lunch and entertainment provided. All welcome to attend and dress standards apply. 6.00am – Dawn Service at Cenotaph outside RSL, 68 Sylvia Street Nollamara. 6.30am – Gunfire Breakfast inside RSL Hall. 12.30pm – Light lunch. 2.00pm – Two-up inside RSL Hall. 4.00pm – Live music. Parking: Along Sylvia Street and rear of RSL Hall also at Autumn Centre carpark next to RSL. Parking at Charles Riley Oval and North Beach Primary School. The Memorial precinct is wheelchair friendly. 5.45am – Dawn Service, Ocean Reef Sports Club, Harbour Quays, Ocean Reef. 6.30am – Gunfire Breakfast continues until bar closing. 8.00am – Two-up, pop-up bar facilities. 5pm-5.30pm – This year’s Sunset Service, which will be held the afternoon before ANZAC Day, will acknowledge the commitment, service and sacrifice of our men and women in contemporary conflicts around the world. It is recommended people arrive at 4.30pm. 6am – dawn service, State War Memorial, Fraser Avenue, Kings Park & Botanic Garden, RSLWA recommends that participants arrive from 5.00am onwards. Lights will go out at 5.50am. 7.00am – 9.00am gunfire breakfast, Stirling Gardens, cnr St Georges Terrace and Barrack Street, Perth City. The community is invited to attend a gunfire breakfast, to share the spirit of Anzac Day. Supported by Rotary WA, the Gunfire Breakfast at Government House Gardens is open to all. Bacon and egg rolls with tea and coffee will be served. From 9.00am there will be a march through the city streets, with the Australian Defence Force stepping off from the corner of Barrack Street and St George’s Terrace, followed by veteran-carrying vehicles and military jeeps, and the Ex-Services Unit, Corps, Regimental Associations. The March will head east along St Georges Terrace, turn right onto Victoria Avenue and into Langley Park. From 11am there will be a commemorative service featuring the Salvation Army Perth Fortress Band and choir brought together from the Perth Modern School Choirs, ChorusAngelicus, Phoenix and Schola Cantor. 6am – Dawn Service, Pinjarra War Memorial, Pinjarra Road. 6.30am-8am – Gunfire Breakfast at Pinjarra RSL Sub-Branch, 1889 Pinjarra Road, Pinjarra, $5 per person, 10.30am – assemble at the Edenvale Carpark in Murray Street, 10.40am – form up under the supervision of the parade commander and marshalls, 10.50am- march step off. The route will be from the Edenvale Car Park, left into Murray Street, proceed along Murray Street with the salute being taken at the Fire Brigade. Proceed to Pinjarra Rd and halt at the War Memorial, 11am – service, Pinjarra War Memorial, on completion – sausage sizzle, raffles and two-up. Entertainment by the Perth Highland Pipe Band. Parking available at Pinjarra RSL Sub-Branch. 6am – Dawn Service, Village Green, Patterson Road, Rockingham, 6.30am – gunfire breakfast, Port Kennedy RSL Sub-Branch, 27 Paxton Way, Port Kennedy, 10.30am – March, Wanliss Street, Rockingham. 12pm – Fellowship, two-up and food, Port Kennedy RSL Sub-Branch, 27 Paxton Way, Port Kennedy. 6.00am – Dawn Service, Riverton RSL Sub-Branch, 153 High Road, Willetton. On Completion – Gunfire Breakfast, Riverton RSL Sub-Branch, 153 High Road, Willetton. Ample parking available at the front and rear of club. Wheelchair access is available for the Service downstairs, but not for the breakfast upstairs. The Riverton RSL Sub-Branch does have a chairlift. 5.45am – Dawn Service at Cenotaph, Flinders Lane. 10.00am – March/Form up in front of Churchill Park, Rockingham Beach Road. 10.30am – March step off. 11.00am – Main service at Cenotaph, Flinders Lane. Parking: Access to Flinders Lane, Rockingham Beach Road, Kent Street and Rail Terrace will close from 9.00am until 12.00pm therefore limited parking available on the foreshore. Catch 555 Bus from Railway Station or Shopping Centre to Foreshore area. 6.00am – Dawn Service, Thomson Bay Foreshore, Rottnest Island. 6.00am – all-night vigil by 1 Wembley Downs Scout Group concludes, 3.00pm – Slow March of Scout Catafalque Party to Memorial, Scarborough RSL Memorial Garden, Shearn Crescent & Millcrest Street, Doubleview, ANZAC Day Service. On Completion | Afternoon tea at adjacent Bowling Club Hall. Substantial parking in grounds of Bowling Club and Bennett Park next door. More street parking around Bennett Park on all four sides. Parking: Parking is opposite the Memorial Park. Road closures in place, and it is wheelchair friendly. 6.45am – parade assembles at the corner of King Street and Onslow Road, Shenton Park, 7am – service held outside the Shenton Park Community Centre, 240 Onslow Rd, Shenton Park, on completion – Morning tea will be served inside the centre. Parking is available on the surrounding streets although a road closure will be in place around the Community Centre prior to and following the service. Wheelchair access is available. Dawn service to begin immediately following the State service, Jewish War Memorial, Kings Park. All are welcome. 7.00am – ANZAC Day Service, South Perth Memorial Gardens, Corner of South Terrace & Sandgate Street, South Perth. Morning tea will be available after the service in the Council Hall. Parking is available on the oval in Sandgate Street next to the Council offices. Wheelchair access available. 7.50am – March assembles, Subiaco Post Office, Subiaco. 8.00am – March up Rokeby Road to the Fallen Soldiers Memorial, corner of Hamersley & Rokeby Roads, Subiaco. Plenty of street parking available in Rokeby Road and adjacent streets. 5.45pm – ANZAC Eve Service, Victoria Park RSL Sub-Branch, 1 Fred Bell Parade East Victoria Park.